Woollyhugs > Latest.. > Auction > Spring Auction 2018 > Item 214. Niffler! Hide all shiny things! He’s adorable. Much more decoration than toy, he’s beautifully felted. Fantastic. 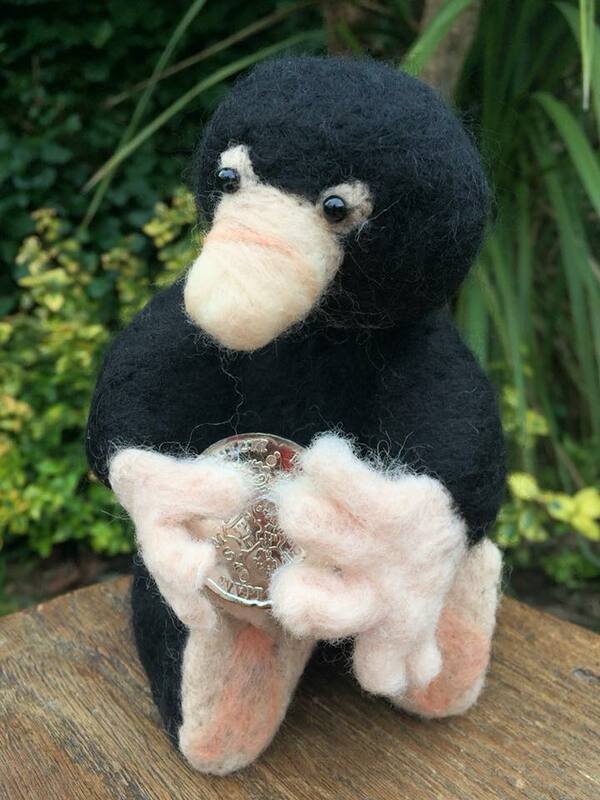 Niffler sits approx 15cm tall. item name : Item 214) Niffler!